Tags: 55cm, Freezer, Under Counter Freezer. Enjoy increased refrigeration space with the Zanussi ZFT-11110WA Undercounter Freezer. Featuring an innovative Space+ design, this fantastic Zanussi freezer offers increased space for the maximum in undercounter storage. Make full use of a big 91 litres of usable storage space and feel the difference. With three large drawers, you’ll be able to easily store all your frozen vegetables, large joints of meat, containers of leftovers and desserts, and whatever else you need. Since the drawers are clear-fronted, you’ll be able to easily check on your grocery levels without having to open the drawers and let precious cold air escape. 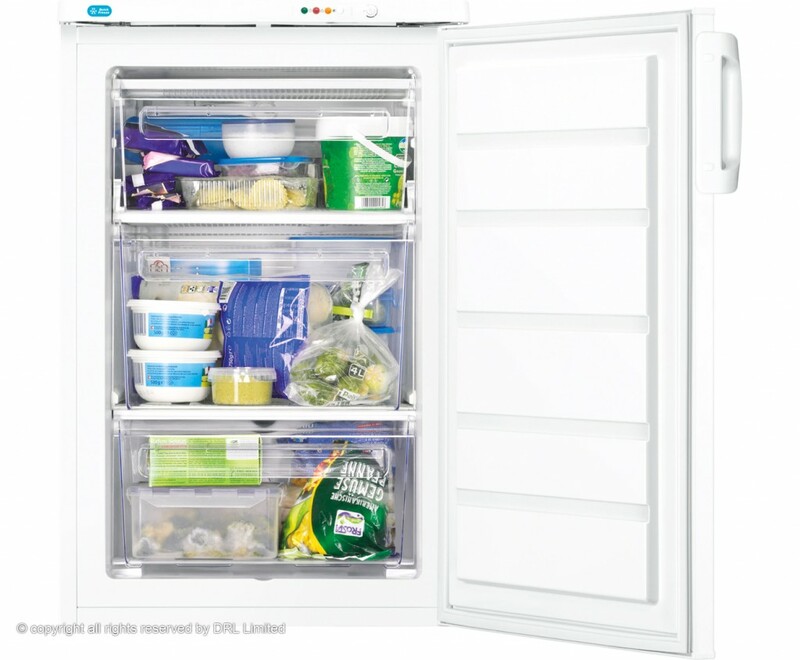 The Zanussi ZFT11110-WA Freezer offers external controls to make your life quicker and easier, enabling you to set and adjust temperatures as you need, again without having to open the door. It’s also exceptionally easy to install and start using, meaning you can get on with freezing all those groceries without delay. The Zanussi ZFT11110WA Bar Freezer boasts an A+ energy efficiency rating, making it a highly economical device that saves you money on electrical bills, and also has far less environmental impact than previous models. With a four-star freezer performance rating, you can be assured that it will quickly and evenly freeze all your items to preserve their goodness and longevity. 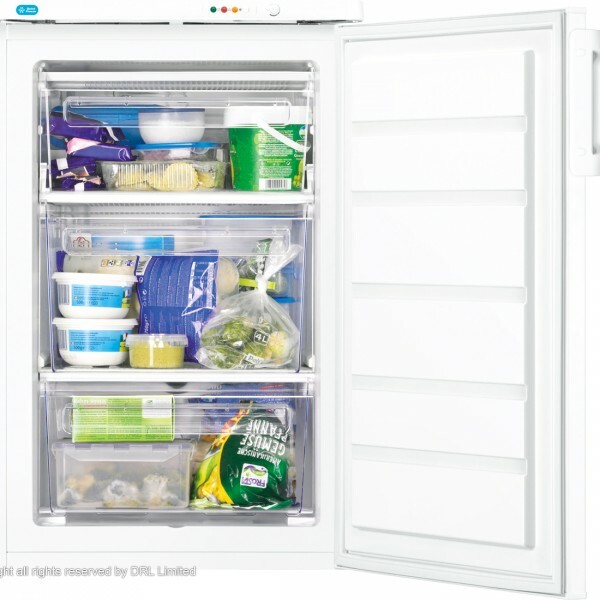 The Zanussi ZFT11110WA Undercounter Freezer is a spacious and all-inclusive food storage solution.